We provide an outstanding service and reasonable pricing for your freight shipping needs. Fill out the form or give us a quick call to receive a quote for your next haul. Lada II Express Co excels in movement of freight that require Flatbed and Drop deck equipment. We operate fleets of Conestoga, Stepdeck and Flatbed trailers to move your cargo locally, regionally or across the country. For almost two decades we have created a strong operational team that has successfully moved a significant amount of freight for our customers. Our mission is to bring unsurpassed customer service for a reasonable cost. Our freight coordinators have a great deal of experience in successful delivery of customer’s goods. We find solutions to any problems that may arise and never leave our clients in a predicament. Our top of the line equipment enables us to serve a wide range of customer requirements. All «Lada II Express Co» equipment is meticulously maintained by our highly skilled technicians to ensure dependability and safety. Lada II Express Co. has been in the freight moving business since the late 90s. For over sixteen years, we have successfully managed to deliver a large variety of freight for our customers and clients. 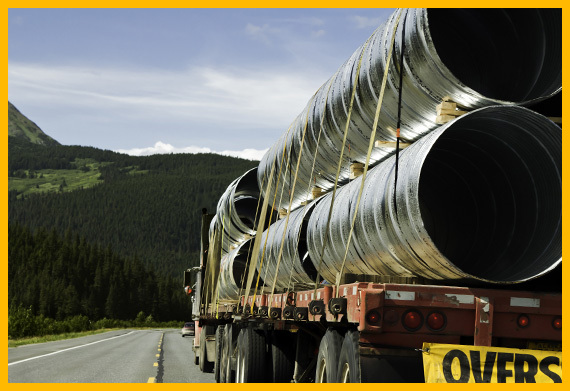 We’ll select the appropriate equipment needed for your freight. Our drivers will arrive at your convenience, oversee the proper loading of your shipments and safely secure your freight in accurate manner, so your load is delivered safely. We will consult with you on day and time for a suitable and reasonable time frame for delivery. Working closely with our clients and customers for the past sixteen years we have gained an optimal amount of experience to leave you satisfied and for you to witness the high standard of our service. LADA II Express Co. was founded in 1986 to provide various freight transportation across Eastern Europe. It was one of the few companies that specialized in Flatbeds shipments. In 1994 we expanded our business into the United States. We've experienced the highs and lows of the market and we stand tall and strong against our competitors. We continue to grow. I needed to transport a tractor from New Jersey to Indiana. I got in touch with Vitaliy, he organized the shipment and it was delivered on time. I didn’t know that this tractor needed a ramp in order to get loaded. Driver had ramps so it made my life easier and avoided a lot of problems. I was updated through the transit of the tractor. Thank you for delivery. With the help of Lada II Express I transported the shipment to FL. They answered to all my questions and offered me a fair rate, that was lower than the competitions. They store the freight until I was ready to receive it at the end of the month. These guys know their business, they advised me how to properly secure my freight and how to load it. Someone was always available to contact and answer questions about my goods. Thank you. I found this company on the internet, because I needed to move some piping. I requested the quote, and someone from the company called me shortly after. We setup two deliveries, and everything went better than planed. Thank you Lada for the great service and looking forward to work with you again. Give us the details of your shipment by filling out the form above. You can also contact us by phone or email. Upon your approval our driver will come to the appropriate pickup location at the specified time to secure the freight. After the job is completed you will be notified via phone call or email that the shipment was delivered and the proof of delivery will be sent in the mail. Copyright © 2016 LADA II Express Co.